With the rise of Bitcoin and the sustained momentum of last year’s initial coin offering (ICO) trend, even mainstream financial institutions like Goldman Sachs are beginning to realise the potential of the cryptocurrency and blockchain boom. However, cryptocurrency anonymity is incompatible with the current international payment framework and has slowed down mainstream adoption. One company, ivyKoinTM, looks to have a highly disruptive solution to this problem. ivyKoin is building a blockchain-based cryptocurrency for business transactions: particularly those which exceed US$10,000 and therefore require extensive verification in the international monetary system. Backed by a number of industry heavyweights, including the former regional and business heads of the likes of PayPal, Westpac and Dexia, in combination with talent from some of the world’s leading tech companies including Microsoft, Intel Capital and MySpace, ivyKoin has assembled a formidable team to conduct a rapid product rollout within the international banking and financial system. That rollout is boosted by the strategic investment of ASX-listed US-based Change Financial (ASX:CCA | OTCQX:CNGFF), which provides a demonstrated track record of opening traditional banking channels to new technology via its popular Chimp Change smart wallet banking app. ivyKoin is being specifically designed based on direct feedback from the banks so that ivyKoin users can voluntarily de-anonymise transaction data to provide Know Your Customer (KYC) and Know Your Transaction (KYT) information in accordance with Anti-Money Laundering (AML) laws, and serve as a bridge between cryptocurrencies and the international payment system. ivyKoin has the potential to disrupt the global financial transaction market worth US$9 trillion per day. For instance, an existing secure transaction system used worldwide called SWIFT, processes some US$5 trillion per day — or US$1.25 quadrillion per year. It has to be noted here, that ivyKoin is an early stage tech play operating in the high risk cryptocurrency investment environment. Investors in any cryptocurrency should seek professional financial advice before making their investment decision. 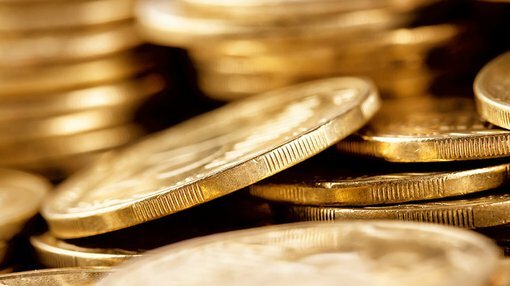 ivyKoin’s belief that it offers considerable technological and architectural improvements to incumbent payment networks, and over the global leading altcoin, Ripple — its closest peer with a current market capitalisation of US$52 billion — means that success in its stated vision could lead to a substantial re-rate. On completion of its pre-sale, ivyKoin expects to have a market cap of US$84 million, equivalent to approximately 0.16 per cent of Ripple. 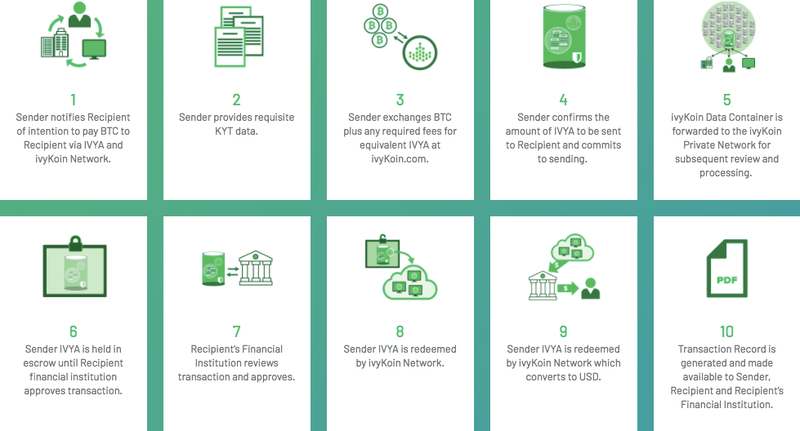 As a decentralised system of transaction validation, the ivyKoin network offers a range of considerable advantages over traditional incumbent and competing payment networks. It’s quicker, more accessible and cheaper, with no delays and more expansive data. The network is also fully trackable and non-forgeable, providing greater security. In contrast to Ripple, according to ivyKoin it allows for more than 74 KYC and 120 KYT data points and customer files per transaction. In fact, it’s designed specifically to break down the KYC/KYT/AML barriers between cryptocurrency and the existing financial system, with Chief Technology Officer Michael Beck commenting, “Whilst Ripple is centralised and offers few transaction data points, ivyKoin is being purpose built across a decentralised network, with a far richer set of information to allow better integration with the current financial system”. All ivyKoin transactions will use ivyKoin tokens for settlements, with significant KYC and Anti-Money Laundering (AML) data to be embedded into the cryptocurrency itself. ivyKoin is currently conducting a token pre-sale offer for the purchase of ivyKoin tokens for US$0.10 each. The Token Pre-Sale Offer closes at 5pm (AWST) on 9 February and comes ahead of the company’s Planned Token Generation Event and listing, on track to occur within the first quarter of this year.